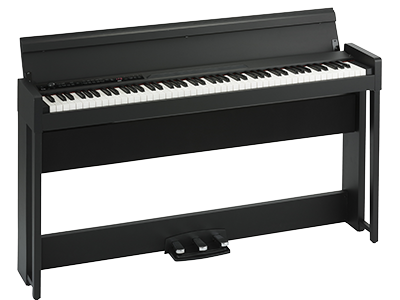 The C1 Air, while simple, has been designed carefully considering what a home piano really ought to be, and as a result is therefore slightly different than its higher-end counterpart G1 Air piano. Both piano and furniture; that’s the balance we aimed for. The legs are structured in a way often seen in upright pianos but with somewhat thinner legs, and by making them extend smoothly to the ground, projects a sense of emphasized slimness and lightness. Additionally, the horizontal support that connects the legs is positioned slightly higher, creating a more furniture-like impression that is somewhat different than that of a piano. When a home piano is not being played, it spends much of its time in the room with its lid closed. The flatness of the closed lid and the compactness of the instrument results in a design that harmonizes with the space and does not overpower the room. Several body colors are available, letting you choose a color that matches the interior and the light in your room. 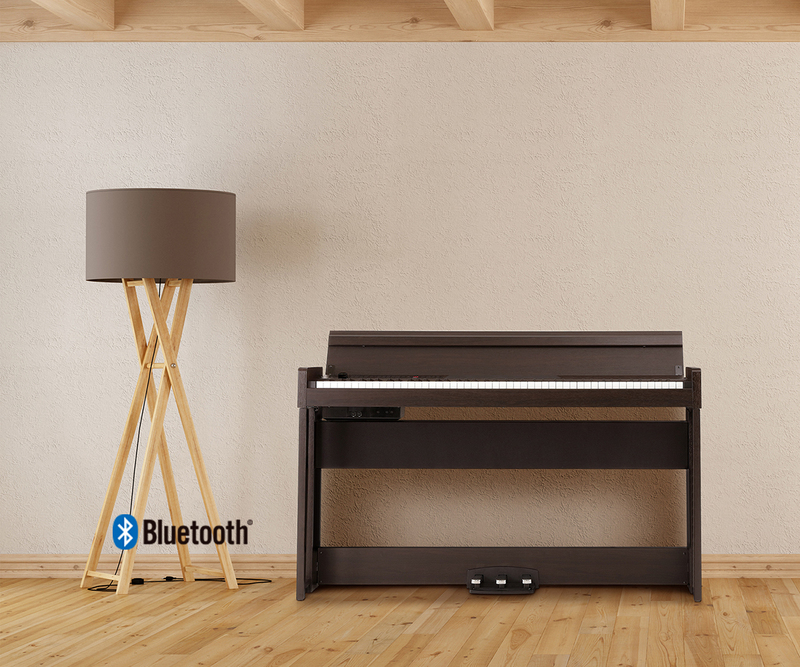 You’ll soon start feeling as if the C1 Air had always been part of your room, and we would be happy if playing the piano became a part of your daily life.